2017 Price list + catalogues, new!! Use the reader to scan the pdf-files for individual terms (e.g. for spare part numbers!). If you cannot find a spare part in our catalogue or on our website, please call, or e-mail us. To download the price list, please clic here! nsu schoenhaar "073 738 516" or nsu schoenhaar "Satteldecke"
Here you can download our new NSU Max catalogue with more than 1500 items (spare parts, literature and accessories. Please click on the link below or the left-hand picture. Please be patient. Download may take some minutes! 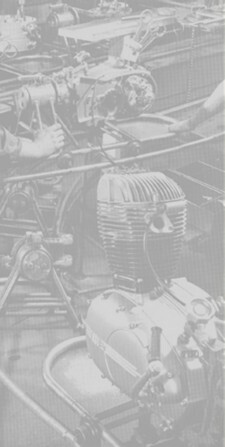 Here you can download our new NSU Fox 4-stroke and 2-stroke catalogue with hundreds of items (spare parts, literature and accessories). Please click on the link below or the left-hand picture. Here you can download our new BING catalogue with hundreds of items like carburetors, air filters and carburetor parts. Please click on the link below or the left-hand picture. Here you can download our new NSU 251 OSL and 351 OT catalogue with more than 1300 items (spare parts, literature and accessories). Please click on the link below or the left-hand picture. Here you can download our new NSU Lux and Superlux catalogue with more than 1600 items (spare parts, literature and accessories. Please click on the link below or the left-hand picture. Here you can download our new speedo catalogue containing speedometers, scales, speedo cables, speedo drives and other accessories for NSU, Ardie, Bücker, DKW, Horex, Heinkel, Rabeneick, Victoria, Zündapp and other brands (more than 100 items). Please click on the link below or the left-hand picture. Here you can download our new literature catalogue showing spare parts catalogues, manuals, repair manuals, folders, posters and other NSU literature. Please click on the link below or the left-hand picture. Here you can download our new NSU 251 T/SP, 301 T/L, 501 T/L/SP, 501/601 TS catalogue with hundreds of items (spare parts, literature and accessories). Please click on the link below or the left-hand picture. Here you can download our new NSU Quick catalogue (1945 - 1953 models) with hundreds of items (spare parts, literature and accessories). Please click on the link below or the left-hand picture. Here you can download our new NSU Lambretta 125 and 150 catalogue with hundreds of items (spare parts, literature and accessories). Please click on the link below or the left-hand picture. Here you can download our new NSU Superfox catalogue with hundreds of items (spare parts, literature and accessories). Please click on the link below or the left-hand picture. Here you can download our new NSU Prima-D catalogue with hundreds of items (spare parts, literature and accessories). Please click on the link below or the left-hand picture. Here you can download our new NSU Prima III/V catalogue with hundreds of items (spare parts, literature and accessories). Please click on the link below or the left-hand picture. Here you can download our new NSU Maxi catalogue with hundreds of items (spare parts, literature and accessories). Please click on the link below or the left-hand picture. Here you can download our new NSU Konsul I und II (351/501 OS-T) catalogue with hundreds of items (spare parts, literature and accessories). Please click on the link below or the left-hand picture. Here you can download our new NSU 201/251 OSL und 351 OT catalogue (models up to 1938) with hundreds of items (spare parts, literature and accessories). Please click on the link below or the left-hand picture. Here you can download our new NSU 125 ZDB catalogue with hundreds of items (spare parts, literature and accessories). Please click on the link below or the left-hand picture. Here you can download our new NSU 351/501 S/OS/OSL catalogue with hundreds of items (spare parts, literature and accessories). Please click on the link below or the left-hand picture. Here you can download our new NSU 601 OSL catalogue with hundreds of items (spare parts, literature and accessories). Please click on the link below or the left-hand picture. Here you can download our new NSU 201 ZD "Pony" catalogue with hundreds of items (spare parts, literature and accessories). Please click on the link below or the left-hand picture. Here you can download our new NSU 201 ZDB catalogue with hundreds of items (spare parts, literature and accessories). Please click on the link below or the left-hand picture. Here you can download our new NSU Pony 100 catalogue with hundreds of items (spare parts, literature and accessories). Please click on the link below or the left-hand picture. 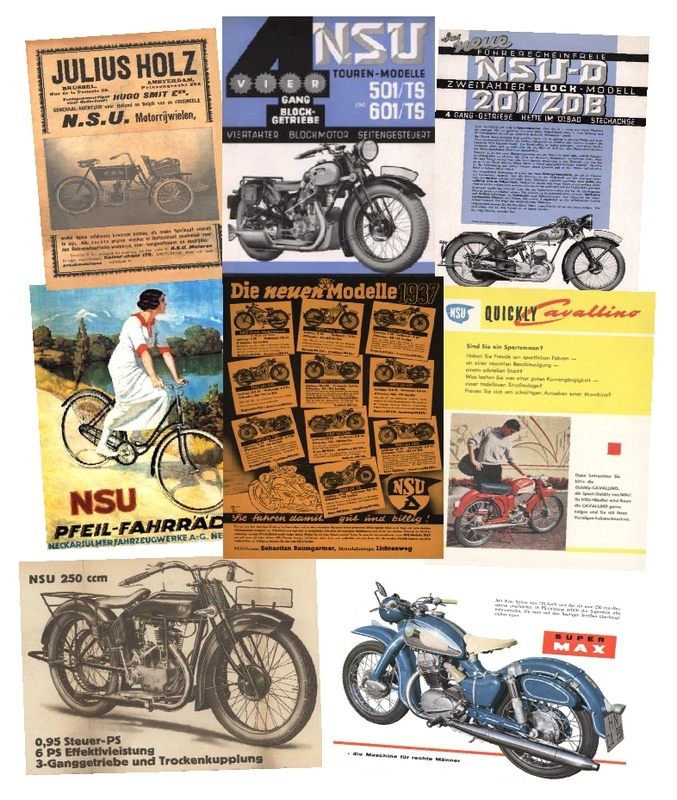 Here you can download our new poster catalogue with hundreds of items for all NSU bikes and other brands like Steib, DKW, Ardie and others. Please click on the link below or the left-hand picture.